After the official AGM business was concluded, we moved on to the highlight of the day: a visit by Alex Metcalf of the Tree Listening Project. Alex has developed special equipment that was going to let us actually listen to trees at St Nicks! But before that, I was going to say my ‘few words’. What ‘few words’, I had wondered, would be suitable to introduce the topic of listening to trees? Cut to some three weeks earlier, when I had bought a book from The Emma Press called ‘Postcard Stories’, by Jan Carson. 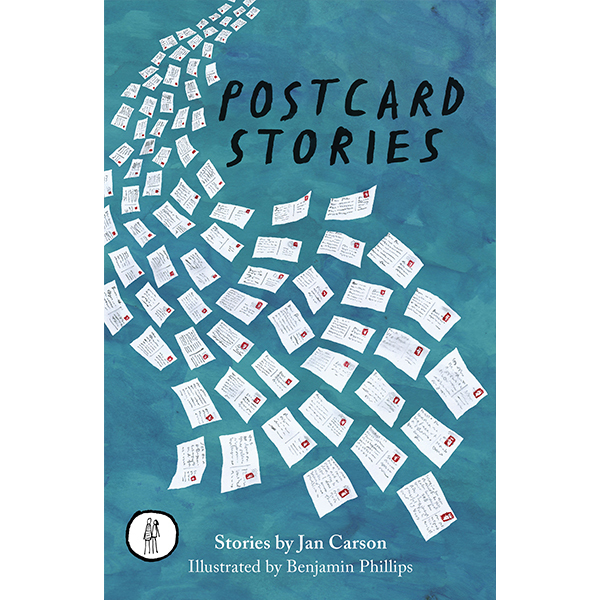 This book does what it says on the tin – it’s a fabulous collection of tiny stories, each originally written on the back of a postcard. Jan had written one postcard story each day for a year. This volume is a selection of them, one story for each week of the year. Meanwhile, where do you stand on coincidences …? Next National Poetry Day goes international!